We recently had a chance to catch up with an old friend, outside of her professional world, at Fleming’s Steak House in Birmingham, Michigan. We were meeting her and her new friend and we decided to have dinner in the bar side of the restaurant and enjoy some “small plates,” wine and some good conversation. Fleming’s is a classic steak house and they also pride themselves on having a fine selection of wines, and maintain a listing on the Wine Spectator Restaurant List. While one can have a classic dinner in the bar side, they have this special that they call “6 for 7 ‘til 8,” which is six cocktails, six wines and six “small plates” for seven dollars until eight o’clock. This is a feature that my Bride and I like to take advantage of, especially if we are going to go to the cinema afterwards. We arrived earlier, and since our friends were running late, because of traffic, we had to place our order and theirs as well to take advantage of the special price. So we ordered a couple of plates of Roasted Mushroom Ravioli and Cedar Roasted Mushroom and Artichokes on Flatbread. When they arrived, the food order came just after them, and we all proceeded to nibble and have a charming conversation, which is what should be done over a dinner. We tried a couple of wines as well during this time. 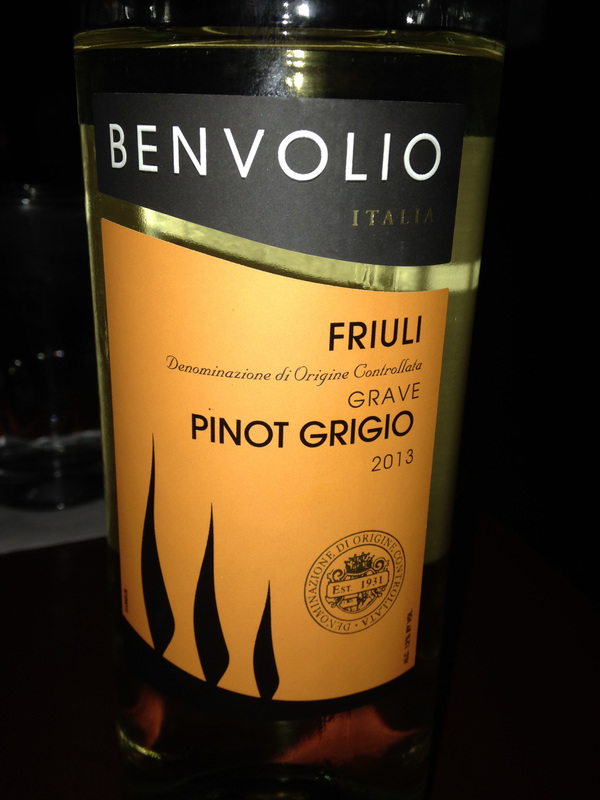 We started with a Benvolio Pinot Grigio Friuli Grave 2013. Now for all you star crossed lovers out there Benvolio was the name of Montague’s nephew and Romeo’s cousin in “Romeo and Juliet.” This wine is from the Adriatic region of Italy known as Friuli-Venezia Giulia and they are famous for white wines, especially Pinot Grigio. A smaller DOC of Friuli-Venezia is Friuli-Grave, and just like in the Bordeaux region of France, they have a commune called Graves, and while English readers would immediately think of a cemetery, these areas actually refer to the gravel that is indicative of the soil, which imparts a different terroir to the wine. Friuli-Grave is also the largest producer in the Friuli-Venezia Giulia DOCC. 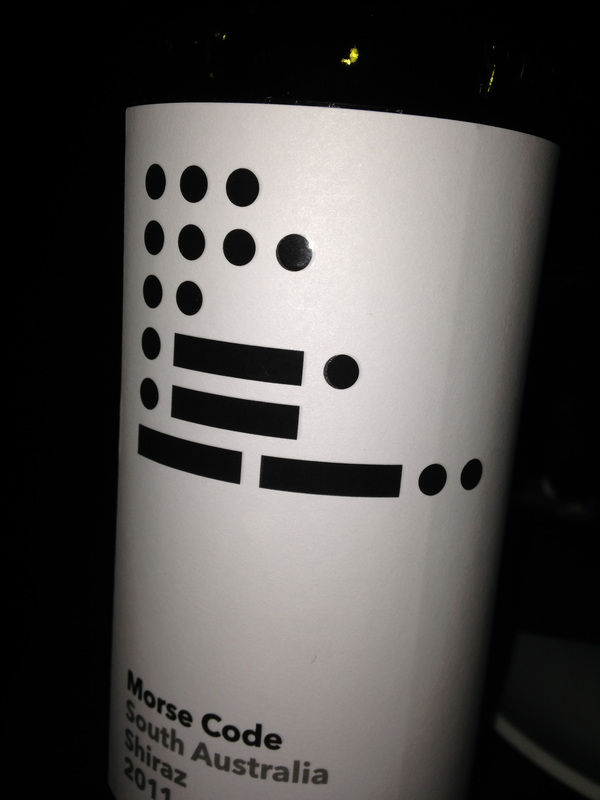 After enjoying a lighter wine, we went and tried a red wine from Henry’s Drive Vignerons from South Australia, Morse Code Shiraz 2013. This is a fruit forward wine with a minimum of oak. The two wines that we had during this time were both worth the six dollar price for a glass of wine, and especially the Benvolio would have even been better on a summer evening. This entry was posted in Dining, Wine and tagged Australia, Benvolio, Friuli-Grave, Friuli-Venezia Giulia, Henry's Drive Vignerons, Italy, Morse Code Winery, Pinot Grigio, Shiraz, South Australia. Bookmark the permalink.